I love to hand stitch things, but I always have trouble coming up with practical things to make out of my hand embroidery designs. 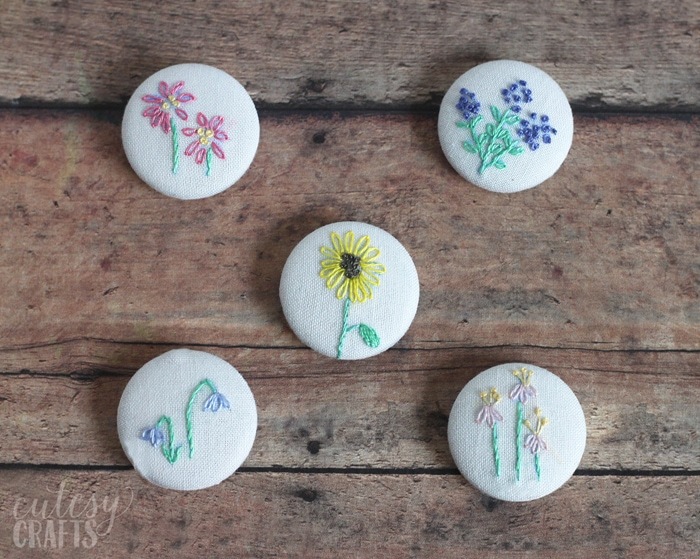 I decided to try making some DIY magnets featuring some small, embroidered flowers that I stitched, and they turned out so pretty! 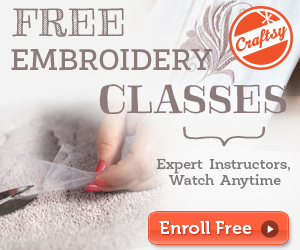 I have free flower embroidery patterns for you, but if you don’t know how to embroider, that’s okay. 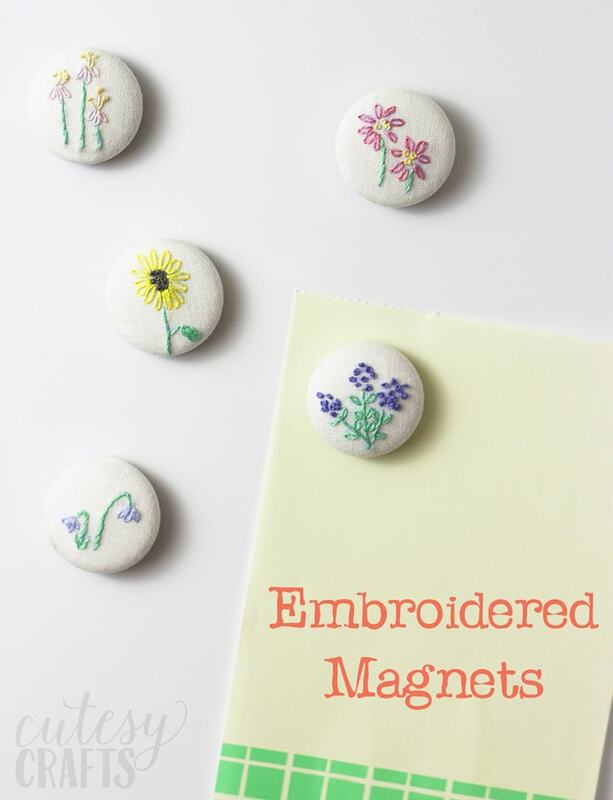 You can even make these DIY magnets using pretty fabric, or try finding some vintage embroidery pieces to use. If you need help with any of the stitches, I have video guides on my embroidery stitches guide page. I love that this is a practical way to display my stitching. I wish that I had made more of them! 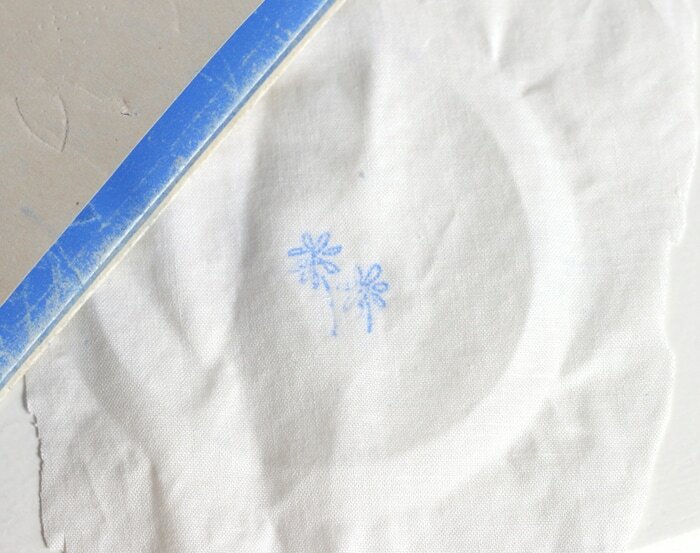 Cut a piece of fabric and transfer one of the flower embroidery patterns to it. I like to use carbon paper that I got at the fabric store. You just trace over it, and the pressure transfers the design onto the fabric. 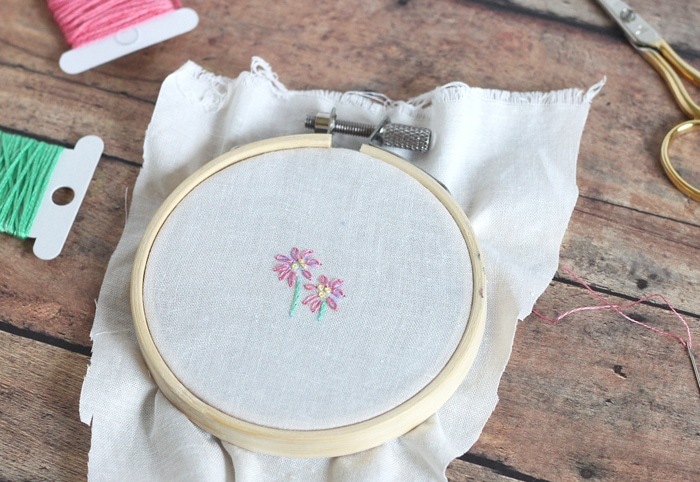 Embroider your flowers. 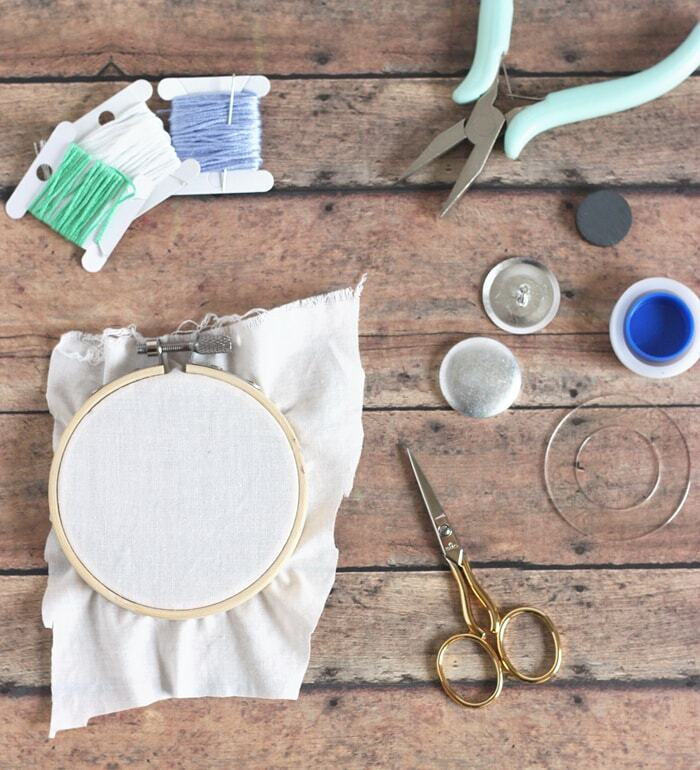 If you need help with the stitches, check out my embroidery stitches guide. It’s not as hard as it looks, I promise! I used just one strand of floss for these since they are so small. 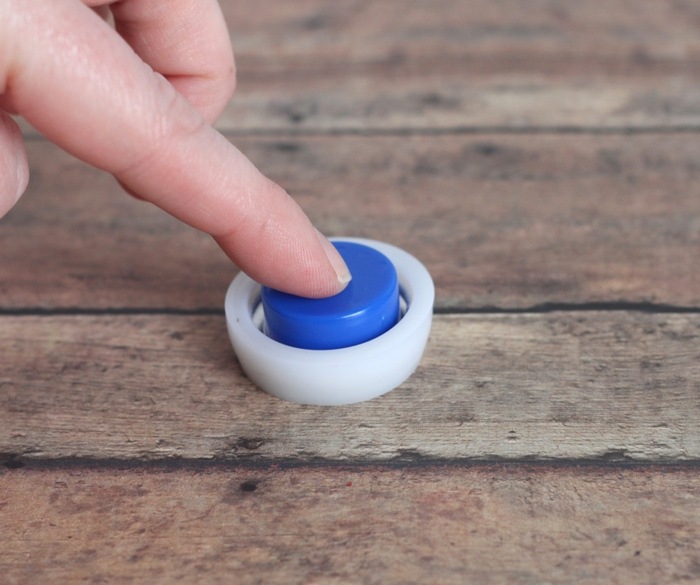 Grab your cover button kit and use the template to trace a larger circle around your design. Cut the circle out. Some of my buttons had plain backs, and some had shank backs (like the photo below). If you have a choice, go with the plain backs, so you can skip this part. 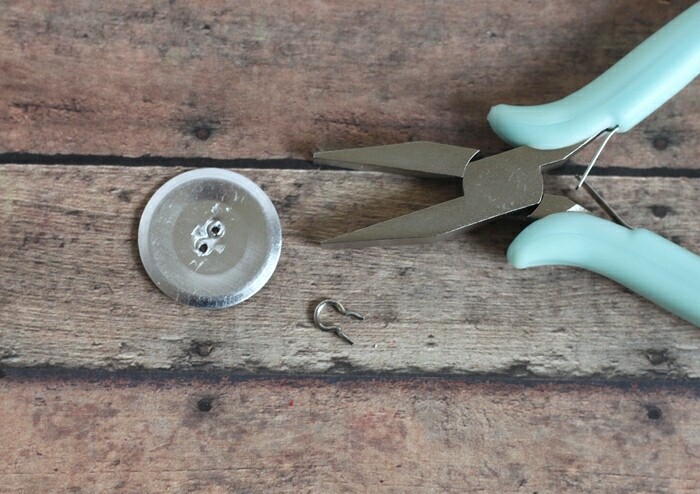 If your buttons have a shank back, use some pliers to bend and pull out the shank. If the surface is uneven from the holes, use the pliers to press down on the bits of metal that are sticking up. This will make a flat surface to glue the magnets on later. Assemble your button according to the kit instructions. Put the fabric face down in the kit, put the button on top of that, and press down with the presser. It should look like this. 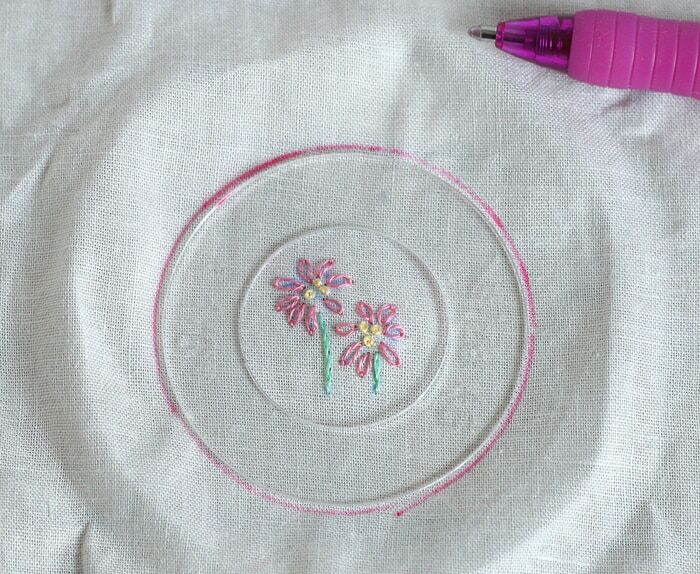 If the flower embroidery pattern ends up not being centered, pull everything apart at this point and try again. 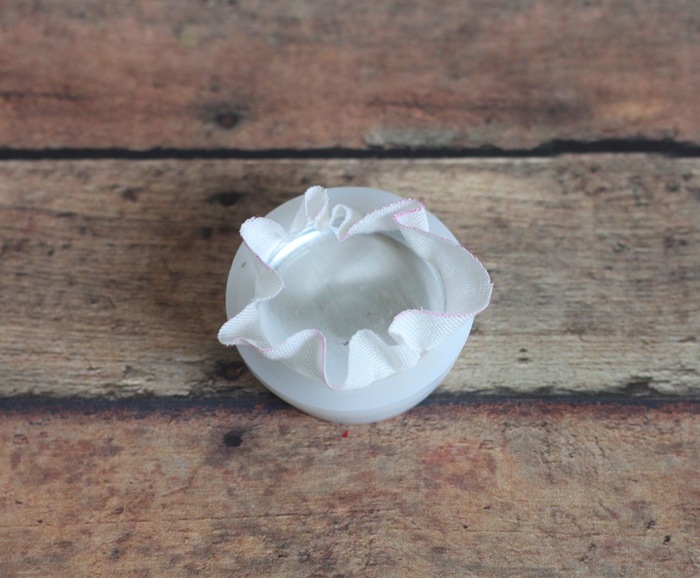 Fold the excess fabric into the center of the button and put the back of the button on top. Press everything down with the presser again, and the back will pop into place. It’s important the you have magnets that aren’t too strong but also not too weak. 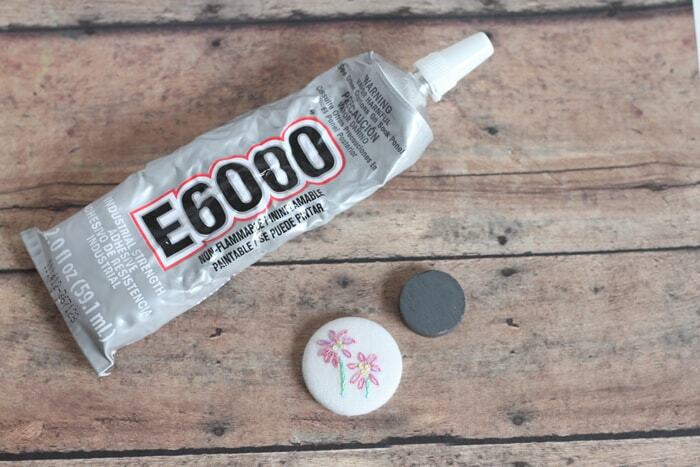 I made magnets once that were so strong that they came off of the glue to stick to the fridge. You don’t want that! The magnets I bought were from Hobby Lobby and had a strength level of 7 out of 10. Not sure what that means, but my magnets are doing great so far! You also want some good, strong glue. Glue one magnet to the back of each button, and wait for them to dry completely. Don’t leave them too close to each other while drying, or the magnets might start to travel towards one another. Ask me how I know. That’s it! I’m loving my new DIY magnets. They look so pretty on my fridge and perfect for spring! 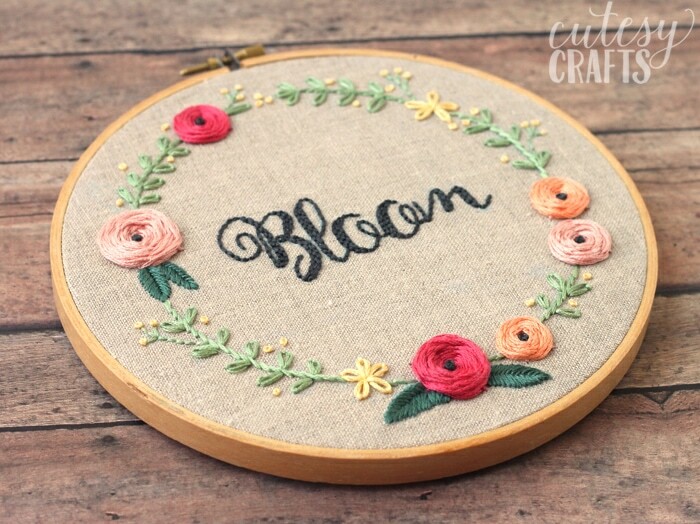 Also, take a look at this “Bloom” Hand Embroidery Pattern with video stitch-along! I’m dropping by from the Link Party Palooza over at Tatertots & Jello. Your project caught my eye while scrolling through the other entries. This is such a pretty idea and would be quick to do. They would make lovely gifts for friends and family too. I host a weekend Stitchery Link Party every Monday for all things hand embroidered and I’d love to have you come link up this post so that my readers can come see it too! I’m just popping back to thank you so much for linking up to last week’s Link Party! I do hope that you’ll join in again soon! Aloha hugs! How adorable those are! I’m so glad you linked them! That’s a great tutorial on how to make them, too. 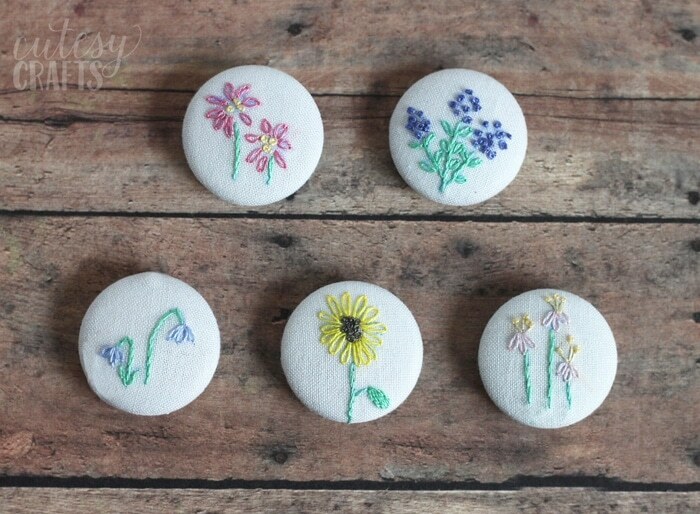 And wouldn’t they look cute on a denim skirt or as vest buttons, too? These are super cute! When I first learned to sew, I would do lots of hand stitching like this…but not as pretty. Visiting from Link Party Palooza. Thank Lisa! You should totally make some magnets!